Therapy with the use of hypnosis (known as hypnotherapy) is a powerful type of treatment that can change lives in a dramatic way. It has virtually unlimited applications, and is one of the fastest growing fields in the world of alternative medicine. Hypnotherapy is commonly used around the world to help people change their habits, change their mindsets, increase their productivity levels, and even cure physical ailments. 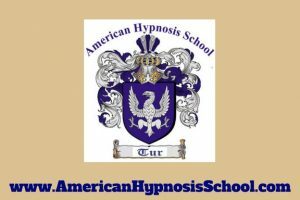 Here at the American Hypnosis School, we are one of the leading educators in this exciting and growing field. One of the best investments you can make in life is in your education. When you invest in education, you can elevate your level on knowledge, career status, income, and your ability to serve and improve the lives of others. Our school offers high-quality and reasonably prices programs that will help you embark on a career in a growing and highly-profitable field. If needed, financing can be obtained to help you get on the road to success through education. When it comes to providing top-level education and instruction on hypnosis, there is to substitute for experience. We have been certified hypnosis training instructors for over 15 years, and have educated students from over 25 countries. Our experience sets us apart, and has made us the most trusted school for hypnosis. Discover how to do quantum forgiveness therapeutics techniques, discover how behavior is created and changed at the subconscious level, discover how to formulate positive suggestions and reinforcement, deepening trance techniques, discover how to master hypnosis voice tempo for success, words to avoid during your hypnosis session and much more. While hypnosis instruction is the main focus of our school, we consider student relations to be of paramount importance in how we operate. Our hope is to establish long-term relationships so that a greater level of success can be achieved in education and in business. We believe in listening to our students to understand the ways we can educate and support them better. Courtesy, respect, professionalism, and kindness are hallmarks of how we function as a school. Our school offers many exciting lessons to help you be successful, including: learning the differences between clinical hypnosis and clinical quantum hypnosis & applications, how to navigate 5 mindset states used during trance, how to properly explain hypnosis to clients to remove fears for success, secrets to interview a client and do a step by step intake for a successful session, secrets pre-visualization and imagination exercises for session success, secrets to remove the ego and analytical consciousness before the session, how to determine if your clients are more visual, auditory or kinesthetic, how to use John Tur trance script for clinical hypnosis, how to use John Tur trance script for quantum hypnosis, how to use John Tur trance script for present and past lives regressions, how to do a progressive relaxation induction, slow and instant hypnotic trances for advanced hypnosis practitioners, secrets semantics while inducing trance, how to implement clinical quantum hypnosis into your practice, how to achieve DELTA state the benefits for hypnotic regressions, discover how to transform a difficult analytical client into a good subject, discover how never fail and always have a successful session, how to set up your practice and build your clientele, how to do hypnosis to enhance memory, how to do hypnosis to remove fears and phobias, how to do hypnosis for weight management, how to do hypnosis for pain and anxiety management, how to do hypnosis for sales people and financial success, how to do hypnosis for disease management and healing, how to do hypnosis to create and empower your self-confidence, how to do hypnosis for focus and concentration, how to do hypnosis for public speaking development and improvement, how to do hypnosis to overcome alcohol, drugs abuse and others addictions, how to do hypnosis to manage depression and sadness, how to do hypnosis for sport enhancement, and how to do hypnosis to remove fears and phobias. Our school is open from 9:00am to 7:00pm, Monday to Saturday. We are based in Miami, Florida, but have students from over 25 countries. We hold registration in the State of Florida, as well as the appropriate occupational licenses. We want to be your trusted partner for the hypnotic arts and sciences. We look forward to speaking with you soon.